"There is always the chance that we may need to implement rank or other stat resets in case of issues," Rockstar notes in a blog. Update: In a new tweet posted today Rockstar announced that there are currently no plans to reset player progression after it was pointed out that progress might not carry over from the Red Dead Online beta. 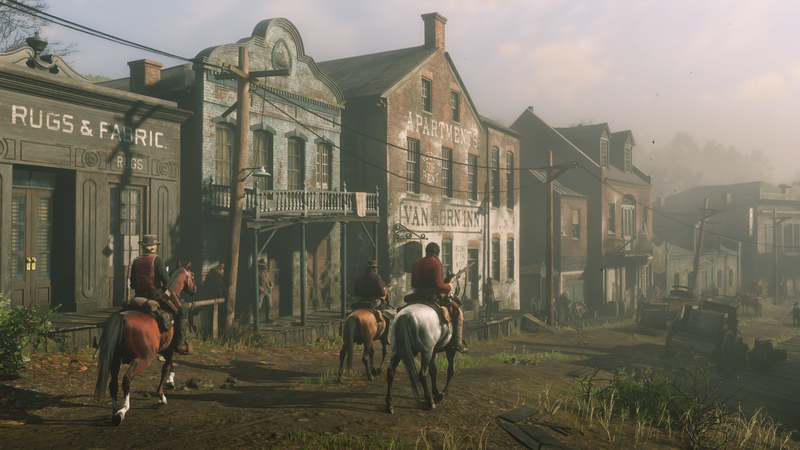 Rockstar instead says it is focusing on re-balancing Red Dead Online's economy and improving stability. Today, Rockstar unleashed the Red Dead Online beta onto the world—but only for Ultimate Edition players right now. Alongside the beta launch, Rockstar published a blog detailing the release lineup again, as well as some additional details. One particular detail includes the fact that because this is just a beta, players will need to be patient with some menus not being present, as well as be ready for the potential of their progress being scrapped. Or, at least some of it. "We hope that all player progress during this early period of the Beta will be able to remain intact long term," Rockstar writes in the blog. "However as with many betas for large scale online experiences such as this, there is always the chance that we may need to implement rank or other stat resets in case of issues." It's still uncommon for most betas to carry over beta progress into the main game, though recently Fallout 76 offered it. We don't know the extent of Red Dead Online's progress-scrapping, but by the sounds of the blog, it's likely just limited to player rank and maybe stats; and that's if it even comes to resorting to a reset. In Red Dead Online's beta state, there aren't microtransactions implemented either, but at a later date it will include the option to purchase gold bars (think like GTA Online's "Shark Cards") for cosmetics like "camp decor, or a special style for your weapons." In the meantime, Rockstar encourages players to report any bugs they see as to help iron out the rough edges of Red Dead Online before it exits beta in the coming "weeks and months," as the blog maps out. Grand Theft Auto Online had a notoriously bumpy launch, so it seems like Rockstar is staggering out access to the beta and taking other precautions to help alleviate what's bound to be server issues. Red Dead Online's beta will open tomorrow for everyone who played Red Dead Redemption 2 on launch day, on Thursday for everyone who played sometime before October 29, and on Friday for everyone else. For more on Red Dead Redemption 2, you can check out our main Red Dead Redemption 2 guides hub. We have a beginner's guide for getting started in Red Dead Online too. Tagged with beta,	multiplayer,	News,	open-world,	PlayStation 4,	Red Dead Online,	Rockstar Games,	Take-Two Interactive Software,	Xbox Consoles.